Bobby “Bob” Mulkey, 76, of Lula passed away Monday October 19, 2015 at Northridge Health and Rehabilitation following a period of declining health. Born November 6, 1938 in Pickens County to the late Jesse and Etter Mulkey, he had lived in Lula for the past 14 years having moved from Atlanta. 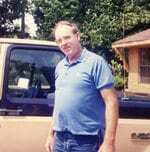 Mr. Mulkey was a retired security guard and attended the Dawsonville Church of God of Prophecy. He was also preceded in death by a sister, Montlee Foster; and brothers, Millard Mulkey, Lloyd Mulkey, Cletus Mulkey, J. R. Mulkey, and Frank Mulkey. Surviving are his son, Jeffery Mulkey, Tate; sisters, Mary Voyles, Dawsonville, Clara Cochran, Dawsonville; a grandson and other relatives. Funeral services will be held Thursday October 22, 2015 at 1 o’clock at Bearden Funeral Home Chapel. Rev. Keith Poss will officiate. Interment will follow in Dawsonville Memorial Gardens. The family will receive friends Wednesday from 3:30 until 8 at the funeral home.